Τοποθετημένο στην υπέροχη περιοχή της Περιοχή Χαϊ Μπα Τρουνγκ, το Midori Boutique Hotel χαίρει μιας επιβλητικής θέσης στη επαγγελματικές δραστηριότητες, περιήγηση σε αξιοθέατα, εστιατόρια κεντρικό σημείο της Hanoi. Σε απόσταση μόλις 1 Km από το κέντρο της πόλης και 40 Km από το αεροδρόμιο, αυτό το 3 αστέρων ξενοδοχείο προσελκύει αρκετούς ταξιδιώτες κάθε χρόνο. Με την βολική του τοποθεσία, το ξενοδοχείο προσφέρει εύκολη πρόσβαση στους προορισμούς της πόλης που πρέπει οπωσδήποτε να δείτε. Επωφεληθείτε από ένα πλήθος ασυναγώνιστων υπηρεσιών και ανέσεων σε αυτό το ξενοδοχείο της Hanoi. Κατά την διαμονή σας σε αυτό το υπέροχο ξενοδοχείο, μπορείτε να απολαύσετε τα δωρεάν WiFi σε όλα τα δωμάτια, ημερήσιος καθαρισμός, 24ωρη ρεσεψιόν, φύλαξη αποσκευών, υπηρεσία δωματίου. Τα δωμάτια του ξενοδοχείου έχουν διαμορφωθεί προσεκτικά ώστε να παρέχουν υψηλό επίπεδο άνεσης και την ευκολίας. Σε κάποια από τα δωμάτια, οι επισκέπτες μπορούν να βρουν θυρίδα, πετσέτες, ξύλινο/παρκέ δάπεδο, παντόφλες, επίπεδη τηλεόραση. Εξάλλου, το ξενοδοχείο διοργανώνει πολλά ψυχαγωγικά δρώμενα έτσι ώστε να έχετε πολλά πράγματα να κάνετε κατά τη διαμονή σας. Το Midori Boutique Hotel είναι μια έξυπνη επιλογή για τους ταξιδιώτες στη Hanoi προσφέροντας κάθε φορά μια ήρεμη και ήσυχη διαμονή. I wanted a room change from twin to double, which was what I booked for. The staff agreed only after a third request, and they had even said they had run out of spare rooms. Rooms in the middle are claustrophobic. Didn’t try the breakfast because there was nothing special. Many eateries around hotel. Comfortable Clean Silent (It is important) perfect! It was an amazing experience for me to stay here. Staff was always supportive and very friendly. Room is cleaned up usually. I will come back here nex time I went to Hanoi. Disapointed when they charge 5% when using the credit card, that is super high. What era it is to pay with cash? They tried to be good even though something not professional as it is. Just exactly 3 stars. Really enjoyed our stay at this hotel. 3 stars felt like 4. Location is good, not far form the center of Hanoi. Room was spacios, clean, well equipped and with good interior design. Hotel staff is super friendly and helpful! Breakfast was very good, though not as diverse. 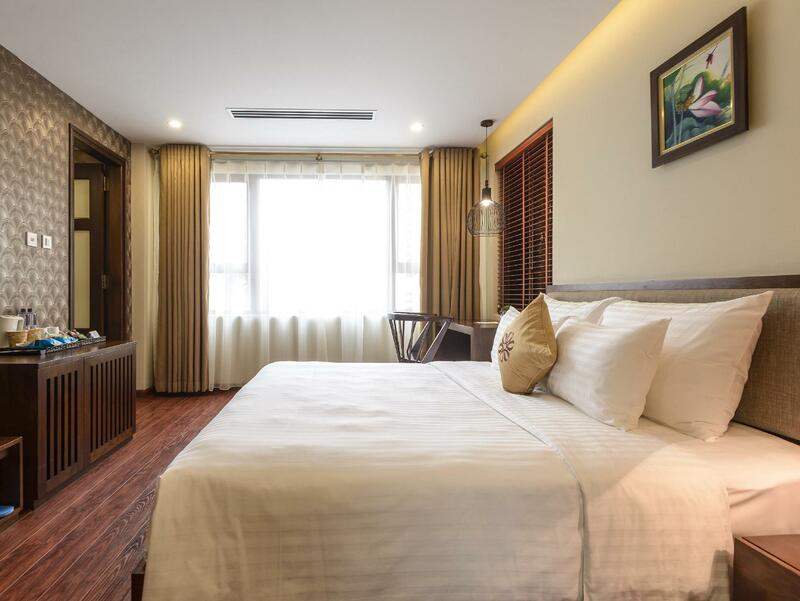 Overall a great place to stay in Hanoi! Great location, nice design, very comfortable bed, helpful and friendly staff who spoke perfect English. Love the area, best in Hanoi I think. Tv had some issues and the AC wasn’t very powerful, though most locals I guess think of this as winter and would rather have heat. Would still recommend it! there are big bath tub and clean shower room, comfortable bed... breakfast was even not valuable but they can make omuret or pho are good enough for us. A very comfortable experience in this hotel …with gorgeous decoration and kind service!like it! Staff went out of their way to help us get the best value for trips & taxi hire. Special mention for Miguel the manager. Beds very comfortable, room well equipped and clean, breakfasts very good. A little away from the old town, but not a problem with cheap metered taxis arranged by the staff. Very clean hotel. Nice and comfortable bed. 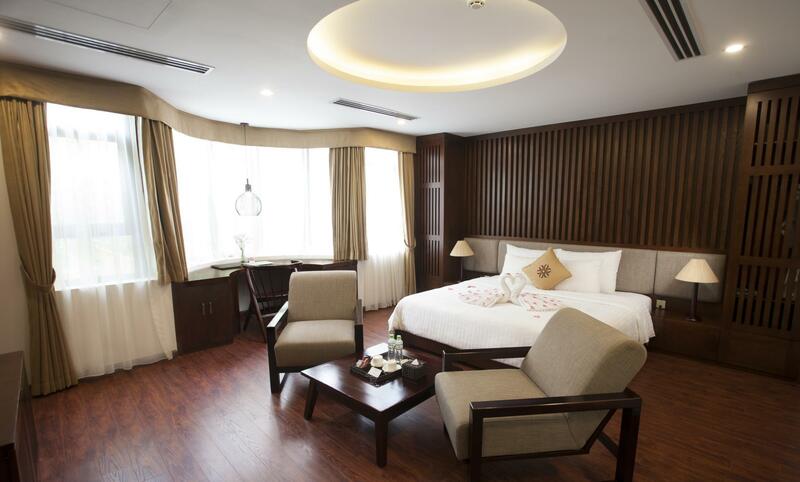 I would rather say a fantastic hotel in Hanoi to stay . Was in this hotel for a week and it was a wonderful stay at this hotel in terms of cleanliness, location, food, quality of service and also customized service by the hotel staff was too good. Very close to heart of the city , shopping area and restaurants .. pubs etc. I admire the way the hotel staff provides help and their eagerness to give prompt service to the guest was too good. Just ask any help shall be rendered by hotel staff instantaneously. Great Hotel I ever stayed and recommended for all for a nice stay in Hanoi. My sincere thanks to the staff Khoa, Hai , Trang , Huyen and the hotel manger Tuan. Staff: Very nice and friendly. I booked the suite and it was very new and updated, clean, and very comfortable. The room I had was better than many 5-star hotels in Vietnam that I've stayed at. Price: The price of the suite was double that of a regular room. I have not stayed in a regular basic room at this hotel so I can only speak for the suite. used to be Santa hotel and now renamed. 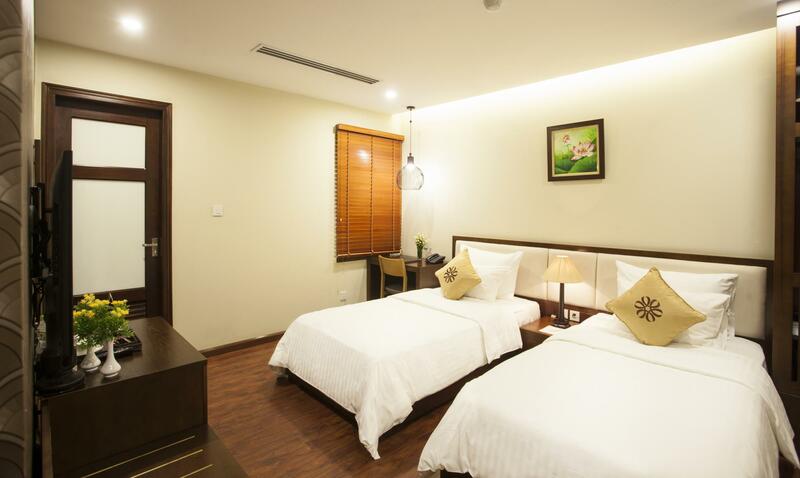 Good services and clean room, very convenient, suitable for experienced or business travelers. 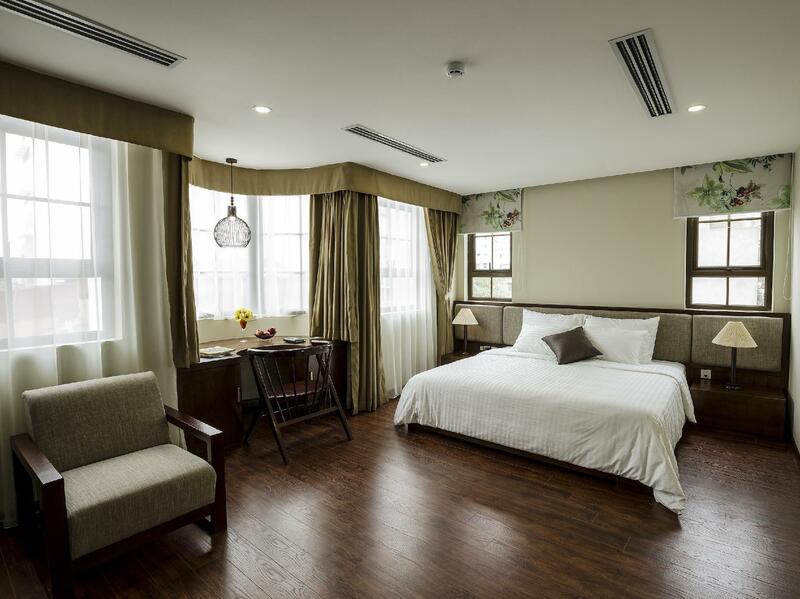 Clean large rooms, very helpful and friendly staff, good enough breakfast and very stylish hotel in general. Σιδηροδρομικός Σταθμός Hanoi στα 1.27 χλμ.